The Norman Rockwell version of the family holiday party exudes warmth, peace and connection. 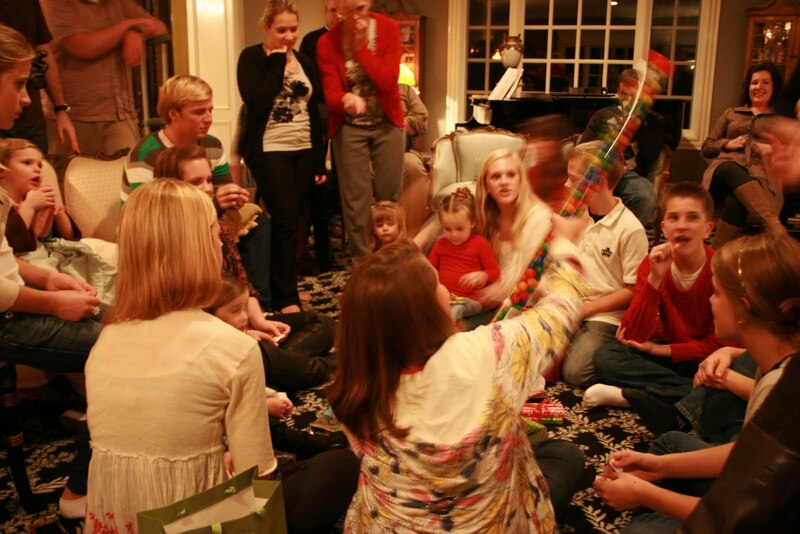 In a family with a loved one in early recovery, the mere idea of a family gathering can cause enormous stress. Before our loved one entered recovery, their method for dealing with this stress likely involved drinking or drugging. While intoxicated they could deal with the insanity surrounding preparation for and engaging in holiday parties. For those who are now in the early stages of recovery, especially in the first year, attending these functions will likely involve a great of fear, regarding how they can manage these festivities and stay clean and sober, while still enjoying the family time together. Several ideas come to mind. First, both the person in recovery and the family need to have a plan for how they will handle the holidays for themselves and for the family as a whole. Communication in early recovery is important for both the loved one and the other family members. Sharing these plans is of paramount importance. Additionally, it is important that both the loved one and the family let go of expectations of perfection. If everyone enters the situation with expectations, it is a recipe for disaster. Moreover, the family and the loved one need to create boundaries to protect themselves and each other and need to engage in whatever self-care is necessary to reduce stress. Finally, both the loved one and the family should have a plan for how to handle a relapse if it does indeed occur because in some cases, it will. 3) Whether the loved one in recovery may choose to provide his or her beverages to avoid being given something with alcohol inadvertently. Having this, as well as other conversations, in advance of the occasion can reduce or eliminate uncomfortable situations. It should also be noted that while some families may decide to ban all alcohol from their parties, that might not be the best suggestion. While it is important to support the person in recovery, walking on eggshells to protect him or her may only create a great deal of tension. Some of this will depend upon how much alcohol is usually consumed at these functions. A family of moderate drinkers might not care if alcohol is removed. A heavy drinking family might resist this type of change. (Some of the resistance might be from family members who are also dealing with consuming too much alcohol and aren’t ready to change, but that is for another article). Some families recoil at all of these discussions. They say that the addiction issue belongs to the loved one and that they should not need to change anything to accommodate the loved one’s state of recovery. It is true that the disease or disorder is not theirs. They are not in control of the addiction and they did not cause it. It is important, however to understand that recovery is a family process. The family was involved to some extent in the addiction, whether by enabling, nagging, or ignoring. Having been involved in the addiction, surely they should also be involved in the recovery process. Perhaps the question should be: Which is more important — having those drinks or having your loved one’s presence in which he or she is actually present as opposed to passing out or coming to? It is also recommended that the person in early recovery have an “escape plan” in case the merriment becomes too much for them to handle. Often their recovery support (sponsor, others in recovery, therapist or coach) will have them create an emergency plan. This may include arriving at the party early and leaving early, before there is too much intoxication in the room. It might mean excusing themselves mid-party to call their sponsor or go for a walk, to ease the tension. The person in recovery may ask to include another friend in recovery to attend the party for moral support. It is important for both the person in recovery and the family to understand the need for this escape plan and for the family to accept the need for this plan. This leads us to the discussion regarding maintaining unrealistic expectations. It is important for the family to recognize that a short stint in an inpatient rehab facility does not render the addicted loved one “cured”. In fact, expecting the loved one in recovery to act as if nothing ever happened is truly a recipe for disaster. Not only will the loved one probably not be happy and joyous in early recovery, but he or she may actually be struggling to function without reliance on their drug of choice. Holding our loved ones to unrealistic behaviors will create more stress and frustration and perhaps encourage the loved one to turn to alcohol or drugs to deal with the stress. Thus it is vital that we let go of any expectations to avoid anxiety for everyone. Holidays or not, a very common concern for families dealing with a person in early recover is fear of possible relapse. We should accept that this is a very normal fear. At the same time, being a “helicopter parent or spouse” will likely cause anxiety for the recovering loved one. Again, the most important point here is for there to be clear communication. Open and honest communication provides the best opportunity for a safe and fun holiday season. As stated previously, recovering addicts should put together an escape plan, including having a sober buddy with them at the party, and having easy access to a phone and phone numbers of recovery friends, sponsor, therapist and coach. The family should anticipate that their loved one will arrive early and leave early and that should not be viewed as an offensive behavior. The recovering person might bring his or her own drink so that no one gives them an alcoholic beverage, whether by accident, a joke or intention. Regardless of the good intentions, the family cannot control the recovering loved one’s decision to use. If an addict is hell-bent on using, he or she will. What can the family do if there is a relapse? Certainly, it cannot be ignored; however, lambasting the addict in the middle of the party will likely not be useful and may make matters worse. It is important to calmly confront the addict without shame or nagging. Confrontation does not need to result in conflict. Offer to take the addict to a 12 step meeting. There are generally many extra meetings available during the holidays. If attending a local meeting is not possible, offer to assist the addict in accessing an online video meeting. www.intherooms.com has 12 step meetings around the clock on Christmas and New Year’s, so a meeting is only a “click” away. Offer to contact his or her sponsor or encourage them to do so. It is not advisable to contact the sponsor directly without the loved one’s buy-in…we must respect their boundaries as we expect them to respect ours. If the relapse is significant, offer to take the loved one to a detox facility or to a treatment facility. In all of these instances, it is vital that the family members engage in sufficient self-care. This is not easy when we are working and planning parties, often getting not enough rest or eating properly. Therefore, it is necessary for us to do what we can to protect ourselves: that means making sure we take the time to eat properly; that we plan our activities to allow for enough sleep; engage in exercise to relieve tension; and above all else – let go of expectations. If we love our loved ones as much as we fret over them, we will have a much better holiday season. May we all have a happy, healthy and sober holiday season.